Prior to our NFL Professional football stadium upgrades, Hodges stadium served as a practice field for the Philadelphia Eagles prior to the 2005 Super bowl and the U.S. Men’s National Soccer Team prior to the 2014 World Cup. The stadium's field currently serves as a practice facility each December for one of the teams participating in the TaxSlayer (Gator) Bowl Not only is it the home of all UNF Osprey outdoor sports and athletic training, seasonally you can catch either a Jacksonville Armada soccer game or a Jacksonville Axemen rugby match. Both teams are professional teams based in Jacksonville, FL. Built in 2004, this state-of-the-art, 9,400 square foot venue make up a complete education center, press box and lighted track/field. It is equipped with a 9-lane Olympic quality track, that also has 4 horizontal jump pits, 8 pole vault locations and a 400m, 3-lane warm up track. Hodges has been host to the NCAA Outdoor Track & Field East Preliminary four times (2012, 2014, 2015, 2016) and will also host the event in 2019 and 2021. The facility has also hosted the ASUN Outdoor Track Championships since 2009. 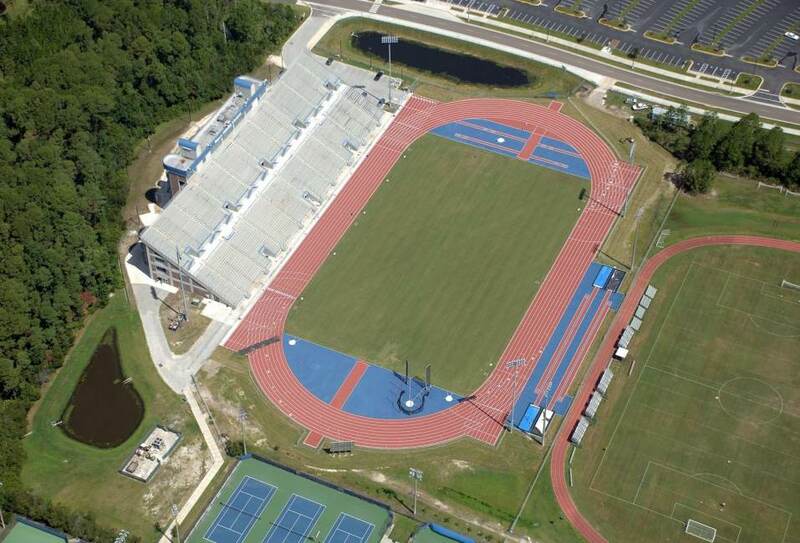 UNF Hodges Stadium is on of seven facilities in the country to receive International Association of Athletics Federations (IAAF).